Is Euro 2016 Wayne Rooney’s last chance to cement his legacy? As England look to end 50 years without a major international trophy, Wayne Rooney may be their focal point for the last time. 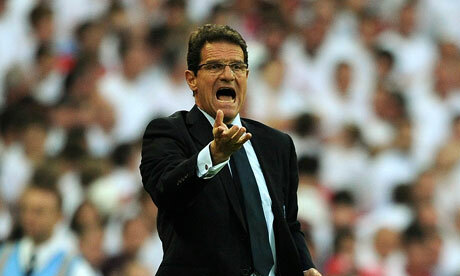 With just over a year left on his contract with the FA, Fabio Capello’s tenure as England boss gets the treatment from Ollie Jackson. Over 100 football fans, bloggers and writers sent us their opinions and contributions on who really are the best players in the world. We spent hours trawling through the submissions, and today we begin to unveil the greatest players of 2010 – as voted by you. Germany turned in a performance of the highest standard in Cape Town today, sending Diego Maradona’s Argentina side crashing out of the World Cup with their tails between their legs. As usual, there were plenty of Talking Points to be discussed as Kevin Doran reports. All eyes are yet again on the England camp following their disappointing performance against Algeria, and Dave Cooper looks at one of the biggest talking points to emerge from Fabio Capello’s reign.